IP finance: The Oscar Ceremonies: Has Its Time Passed? Another Oscar award ceremony has come and gone and, with it, even more than usual, is the media coverage and punditry about the event itself, as well as the winners and losers in an expanding list of film-related categories. As such, this is a good time to reflect on the current state of the ceremony, and what it says about the film business. Let me suggest that the Oscar awards are the functional equivalent of much of the print media--either becoming an anachronsim or irrelevant as other technologies and platforms replace it. If not for the inertia of the spectacle itself, the time might be near to bring the ceremonies to a merciful end. The Academy Awards appear to have been, from their outset in the late 1920s, a promotional vehicle for Hollywood and the studio system (as it then was). The event merged the American fascination with winning with the aura of glamour and stardom. True, there has always been an odd feel to the entire competition. Who are the voters? (I remember a student teacher of mine in high school in the 1960s who was a voter because she was the cousin of a studio mogul.) How do such voters decide when, as I suspect, many have not seen all of the movies upon which they are voting? No matter what your view is on these points, behind it all was and is the Oscar's goal of promoting the film industry, i.e.,the large Hollywood studies, in particular. The problem is that, if the Oscars are a promotional vehicle for the industry, the long-term prospects for carrying out this function are not bright. First, it appears that success at the Oscars shows no significant correlation with increased box office revenues. That is not such a surprise, since the ceremonies lag behind the cinema exhibition schedule at the theatres. True, a nomination announced during exhibition time might presumably assist increased box office take, but even then, with 10 movies being nominated for awards such as best film, the nomination itself is a less exclusive designation (rather like VPs of banks). 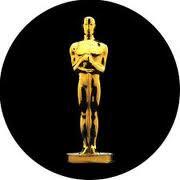 Moreover, the Oscars is a spectator TV support for those in middle age or above. A podcast report stated that the average age of viewers of the event is 50 years of age, with the figure going up each year. Stated otherwise, youngish hosts Anne Hathaway and James Franco notwithstanding, the young have largely abandoned viewing of the event. Even for those who watched it, I would wager that most viewers did not stay to the end. True, the print media is awash with hype before the event as well as extensive coverage of the Oscar results but, honestly, who remembers very much beyond best picture and best actor and actress, much less the last five winners in each of these categories? The event itself has had the perverse result of encouraging competition with the very studios, the promotion of which the Oscars were originally estblished. Stated otherwise, the Oscars have allowed the indie (read: "independent") movie business sector (like "The King's Speech" and "Social Network") to gain enjoy mainstream support among those who cast votes for the Oscar competition. Ironically, given the modest budget for such movies, winning the Oscar might actually give them some financial lift. Once again, however, that is not why the Oscar competition was established. The factors most affecting the movie industry include the perenial challenge of financing studio films; the rapid decline in CD sales (the lifeline of the business for much of the decade) and the uneven ability of most movies to recoup in other facets of the secondary market; the threat of unauthorized digital copying and, even when authorized, the less lucrative (for the studios) streaming business; the attentuated time period between cinema exhibition and access to the movie via various digital and on-line delivery methods; and the partial displacement of the cinema experience by multiple distribution channels at home (or even on the go). In the face of such challenges, the Oscar ceremonies seem quaint at best and marginal to irrelevant at worst. It's time for the industry to find other ways to promote its product. I am sure that the red carpet will fetch a pretty penny at the ensuing public auction of Oscar memorabilia.